All the 2015 AA Caravan and Camping Awards winners were recognised for their achievements at the lunch held at the Aztec Hotel in Bristol. The 2015 season has got off to a flying start for eleven of the UK’s top campsites after they were recognised at the recent AA Caravan and Camping Awards 2015. 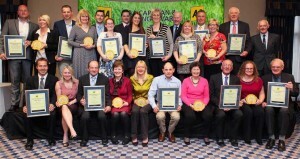 Oakdown Touring and Holiday Park in Sidmouth, Devon was named the winner of the AA Campsite of the Year for England and the overall winner for 2015, while Witches Craig Caravan and Camping Park in Stirling and Bron Derw Touring Caravan Park in Conwy were named Campsite of the Year Scotland and Wales respectively. The annual AA Caravan and Camping Awards recognise the best of the best when it comes to the nation’s caravan and camping sites. 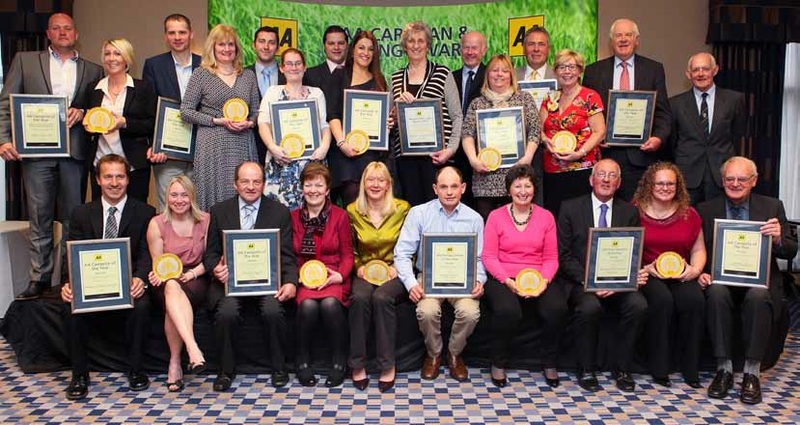 The winners are selected by the AA’s team of expert inspectors who travel the length and breadth of the country to ensure that campers can be confident of high standards wherever they see the AA Pennants at a campsite. David added: “Customer care is one thing that all our award winners have paid attention to. How well guests are looked after from the moment they arrive can make or break any holiday. All the 2015 award winners were recognised for their achievements at the lunch held at the Aztec Hotel in Bristol. The awards lunch also marked the official launch of the 47th AA Caravan and Camping Guide, which has details of over 900 fully inspected and independently graded camping parks across the UK.